Green Aqua Enviro Projects P Ltd.
Green Aqua is a young and dynamic Company in the business of providing complete water treatment solutions. Our brand-Green Aqua is one of the leading companies in india offering a comprehensive set of Water & Waste Water Treatment Solutions. At green Aqua, we uniquely positioned to offer our clients one stop & integrated solutions for household, institutional, commercial, industrial and public water water supplies by leveraging our experties across various technologies. Green Aqua consists a team of Technical Engineers who have experience in pure drinking water to waste Water treatmantsolutions and related services. We started to serve the needs of safe drinking water to industrial porcess water and also to recycle the waste water. The main aim of the Company is to give an ultimate solution to the customers by quality products and service. A holistic water and wastewater treatment company, Green Aqua Enviro Projects Private Limited, Hyderabad, Talangana, India offers a full range of services, from turnkey contracting for small and large projects for the industrial and domestic markets. Green Aqua is the leading expert in the design, construction, commissioning and operation of water and wastewater treatment plants under one roof, offering a full range of operational contracts including technical assistance. We offer: . Reverse Osmosis Plants . UV purification units . Ultra filtration systems . Water Softeners . DM and MB units . Sand filters and . Activated carbon filters . Desalination Plants	. Sewage Treatment Plants (STP) . Effluent Treatment Plants (ETP) . Water treatment Plants (WTP) . Swimming pool filtration . Water treatment chemicals . Consumables, spares and services . Operation and Maintenance Contracts . Annual Maintenance Contracts. Green Aqua Enviro Projects Pvt Ltd one of the leading Specialist in Water treatment Industry providing State of the Art technology solutions for Water & Waste water treatment by adapting the most comprehensive, cost-effective and reliable treatment systems and services. Water and Wastewater Solutions under One Roof Reverse osmosis plants, Water softeners, DM Plants, Pressure sand filters, Activated carbon filter, Desalination plants, Sewage Treatment Plants, Effluent Treatment Plants, Water vending machines, Water Treatment Chemicals, Consumables, Spares & services, Operation & Maintenance, Annual Maintenance Contracts. A holistic water and wastewater treatment company, Green Aqua Enviro Projects Private Limited, Hyderabad, Telangana, India offers a full range of the best state-of-the-art water vending machines and systems to meet our customers' water vending needs on the market. 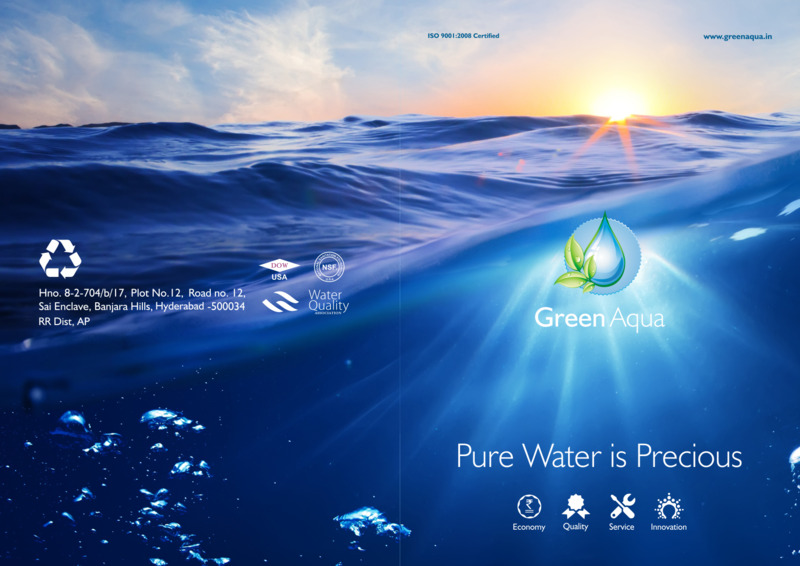 Green Aqua is a young and dynamic Company in the business of providing complete water treatment solutions. Our brand-Green Aqua is one of the leading companies in india offering a comprehensive set of Water & Waste Water Treatment Solutions. We Offer : Sewage Water Treatment Plants, Effluent Treatment Plants, Reverse Osmosis Plants, Ultra Filtration Systems, Water Softeners, DM Plants, Desalination Plants, Water vending Machines, Water Treatment Chemicals, Annual Maintenance Contracts, etc..
Green Aqua, as expert in the waste water treatment plants & systems, has the right tools and expertness to tackle the toughest industrial waste water problems. As we believe in fulfilling all the needs of our client's, We offer waste water treatment plants, Reverse Osmosis Plants, Sewage Treatment Plants, Effluent Treatment Plants, DM and MB units, Water Softeners, Water Vending Machines, Desalination Plants, Water Vending Stations, Annual Maintenance Contract, Operation and Maintenance Contract, Consumables and Spares, Water treatment chemicals. 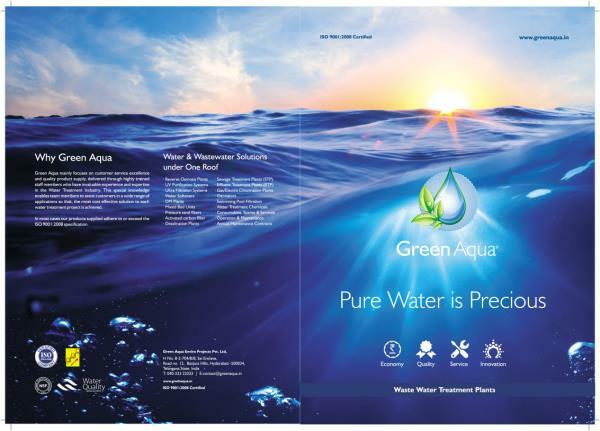 Green Aqua provides both custom built and standardized systems to raw water clarification. Green Aqua offers Design, Engineering, Erection and commissioning of Sewage and Effluent Treatment Plants on Turnkey basis which are specifically designed to meet individual site requirements. Green Aqua manufacturers and supplies a wide range of Sewage treatment plants, from compact package plants to large scale modular sewage treatment systems. We Offer : Reverse Osmosis Plants Ultra Filtration Systems Sewage Treatment Plants Effluent Treatment Plants DM Plants Pressure Sand Filters Activated Carbon Filter Desalination Plants Water Vending Machines Water Treatment Chemicals Consumables , Spares & Services Operation & Maintenance Annual Maintenance Contracts Optimal for Residential Apartment Housing Colonies Amusement Parks Industrial Establishments Hospital Hotels and Restaurants Educational Institutions Special Economic Zones etc. Water treatment plants are used to make water reusable by eradicating dissolved impurities present in it. Green Aqua is one of the top manufactures and suppliers of water treatment systems and waste water treatment plants in India.We have water treatment plant designed for small medium and large scale i.e. from 1 KL water treatment system to 40 KL. Green Aqua offering design, engineering, supply, erection and commissioning of water and waste water treatment solutions under one roof. We offer : Reverse Osmosis Plants, Ultra Filtration systems, Water softeners, DM and MB unites, Multi grade sand filter, Activated carbon filter, Desalination plants, Sewage Treatment Plants, Effluent Treatment Plants, Water treatment chemicals, Consumables and Spares, Annual Maintenance Contract, Operation and Maintenance Contract, Water vending stations, Project design and consultancy, Water vending machines, all types of Pumps. We are one of the leading manufacturer of Water Treatment Plant. We manufacture and serve all type of Water Treatment Plants from RO Plants to Sewage treatment plant and ETP Projects also.We have our team for manufacture, Installation, Servicing and quality assurance.We offers design, engineering, supply, erection and commissioning of all We offer: Reverse Osmosis Plants UV purification units Ultra filtration systems Water Softeners DM and MB units Sand filters and Activated carbon filters Desalination Plants Sewage Treatment Plants (STP) Effluent Treatment Plants (ETP) Iron removal plants Swimming pool filtration Water treatment chemicals Consumables, spares and services Operation and Maintenance Contracts Annual Maintenance Contracts. Kindly forward your requirements to us, for queries, technical information, feel free to contact us on 0 92468 78686, 0 9963359575, 9100992001.